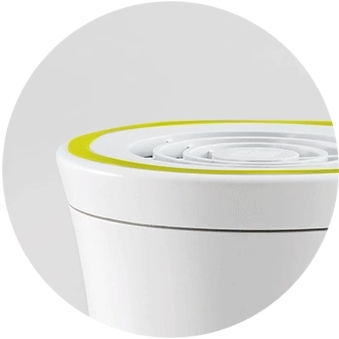 The Wynd filter traps particulates including pollen, pet dander, bacteria, mold, and industrial pollution such as PM2.5. It's composed of electrostatic material interlaced with antimicrobial silver to kill germs. It contains a medical-grade air filter, capable of purifying particles as small as 0.3um (1 / 210th the average thickness of human hair). Made in the USA. The filter is lined with an antimicrobial layer lined with silver. This keeps it clean from microbes such as bacteria and mold. As air passes through this filter, the particulate pollutants are removed and any residual germs are killed off, and purified air flows out into your environment. Wynd cleans germs and allergens like pollen, spores, mold, cat dander, bacteria and dust mite. It also cleans industrial pollution like wood smoke, tobacco smoke, auto emissions and foundry dust. Despite its small form factor, Wynd can deliver over 8 liters of clean air per second. The filter is made up by Electrostatic filter wihich captures 99% of particles over 0.3 microns. It also has Antimicrobial silver layer which kills 99% of bacteria and viruses. 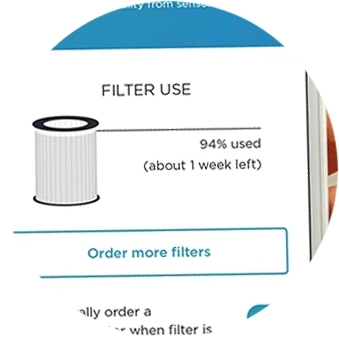 The filter typically lasts for 3 months in a polluted environment (with an average of Air Quality Index of 200). Air Quality Index is an index for reporting daily air quality. 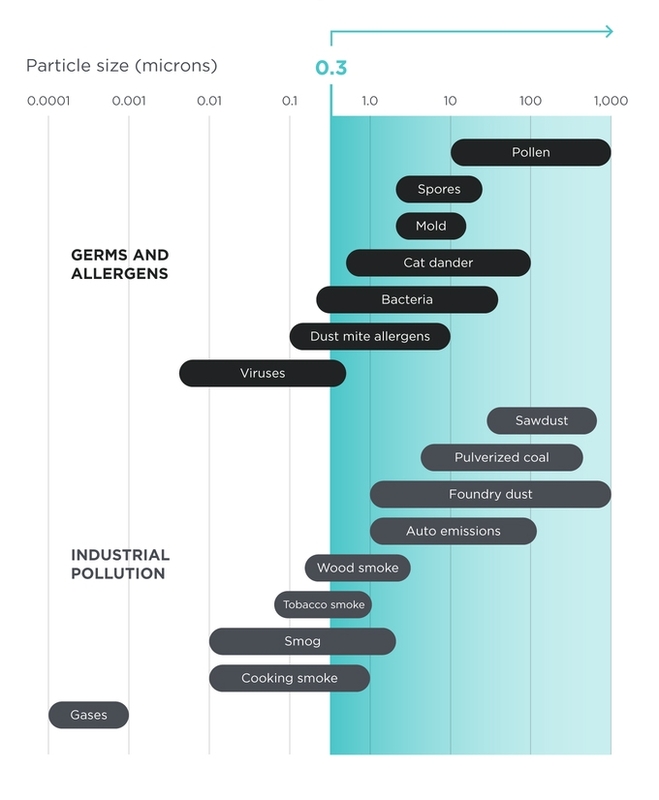 It tells you how clean or polluted your air is, and what associated health effects might be a concern for you. Wynd can tell you how used up the filter is and alert you when it’s time for a replacement. Replacing the filter is way easier than on cars or house filters. With Wynd, just pop the old one out and pop the new one in. Light blinks to show you that the filter needs to be replaced. Replacing filters is automated. Wynd will automatically alert when your filter needs to be replaced.